Music Reviews by the Rock Doctor - Jan 5th, 2018 - Gonzo Okanagan Online News, Music, Technology, Sports, Film, Arts & Entertainment, Culture, Wine & Dine... Life! It’s just the luck of the draw that my first review of 2018 is the brawny new blues/rock album from Tinsley Ellis, featuring what Rolling Stone calls “feral blues guitar”, and The Chicago Sun-Times says “It’s hard to overstate the raw power of his music”. Winning Hand is the most potent exercise in the blues I’ve heard since Buddy Guy’s Damn Right I’ve Got The Blues in 1991. Yeah- it’s that good. “Guitar, guitar, guitar is what this album is all about” says Ellis, who produced the record in Nashville. His primary axes for these sessions were his 59 Strat, ’67 Gibson ES-345 and a 1973 Les Paul Deluxe. 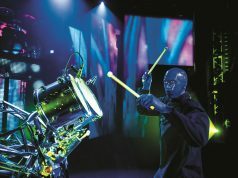 As a blues fan I’m primarily a guitar freak, and Winning Hand consistently hits the right tone, feel and notes; whether Tinsley is teeing off on blistering rock, heart-pounding blues, or a soulful ballad like Autumn Run, which rides a wonderful Rhodes piano groove from keyboardist Kevin McKendree. Saving Grace, the slow burning blues that ends the album, has a real Robin Trower feel to it and the sole cover tune, Leon Russell’s Dixie Lullaby, has a decidedly Freddie King approach. 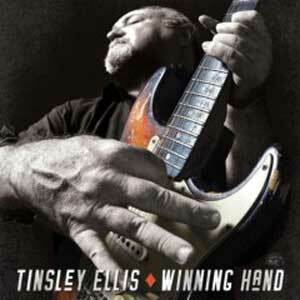 Winning Hand is a great sounding blues album too, well balanced and grooving as Ellis rides what Guitar World calls “a gorgeously fat, pure tone.” The songs here and the performances are inspiring, so don’t be surprised if they make you want to pick up a guitar and play some blues too. It’s like BB King meets Buddy Guy meets Stevie Ray as each performance is as good or better than the last. Tinsley Ellis and his band really lean into it, playing every note like they mean it… you can’t ask for more than that. 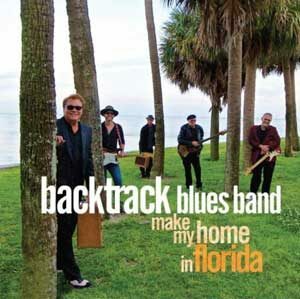 A smokin’ live CD/DVD package here from the Backtrack Blues Band. 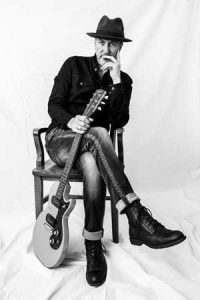 As Kid Royal rips some hot guitar solos and Sonny Charles channels his inner Kim Wilson (or James Cotton), you’re in for about 50 minutes of spirit-lifting traditional blues. Backtrack Blues Band also includes Little Johnny Walter on rhythm guitar and backing vocals, Joe Bencomo on drums and Stick Davis on bass, and they play with an ease and natural sort of telepathy that comes from mining the same grooves together for years. Fine performances from all, but the star her is Sonny’s overdriven harp that really takes you back home to the delta- or, in this case, Florida. They’ve been around since 1980. From the jump stuff, to numbers with more swing like Your Funeral My Trial and slow burning blues like the title cut, the crowd is clearly with them every note and every step of the way, and boy does this band deliver. Their high energy Chicago-style blues mixes Sonny Charles originals alongside cuts by masters like BB King, T-Bone Walker and Sonny Boy Williamson for a full tilt blues experience. As a singer Charles is like a cross between Kim Wilson and Robert Cray, and when he blows harp you can hear echoes of the masters too. Recorded and filmed at The Palladium Theater in St. Petersburg, Florida, Make My Home In Florida is a real good time. Maybe white men can’t jump, but this is proof that they sure can play the blues! Glorious, absolutely glorious. This compilation gathers 14 tracks from the solo/ duo division and band division finalists of 2017’s Memphis Blues Challenge. There are many different styles and feels of blues here, underlined by the feeling of some great musicians playing as if their lives depended on it. This is extremely powerful stuff! I must confess that I was only previously familiar with a couple of artists here before I put this CD on; Dawn Tyler Watson, whose Shine On starts the album, and Sugar Brown out of Toronto who ends the disc with the gently loping traditional blues of Meet Me In The Country. These are all studio recordings, I assume their submissions for being considered for the contest, which makes careers, forges relationships between artists and industry veterans, and unites blues fans in their love for this moving and spiritual music. The Memphis International Blues Challenge started in 1984 as a handful of acts displaying their talents, to the industry-leading annual showcase it is today… the world’s largest gathering of blues musicians. From the gospel firepower of Dawn Tyler Watson’s opening track to the down home simplicity and front porch country blues feel of Felix Slim’s I Hate You Cause I Love You and a balls-out greasy blues rocker like King Bee’s Dangerous, most every angle of the blues is represented here and it feels damn good. 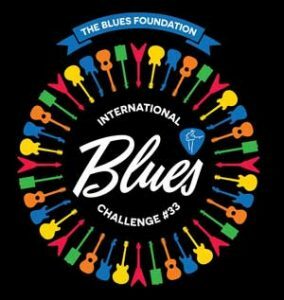 International Blues Challenge #33 is one of the most potent collections, blues or otherwise, that I’ve heard in the 28 years I’ve been writing album reviews. To find out more about The Memphis Blues Challenge and what The Blues Foundation is about, go to blues.org. Stepping past gigs with The 24th Street Wailers, The Weber Brothers and the Women’s Blues Review Band, Burgess steps out on her own here to deliver a playful, energetic album. Are We In Love? proves her to be a solid guitarist and an irresistible singer. Emily graduated with honors from the Humber College music program at 22, majoring in guitar. She’s played hundreds of shows across North America and France, and has traded riffs with the likes of Jimmie Vaughan, Kevin Breit and Suzie Vinnick, to name a few. Recent success includes writing a pair of tracks for and playing guitar on The 24th Street Wailers’ Wicked album, nominated for a Juno in 2015. For Are We In Love? Burgess shows love and respect for retro and modern sounds, honoring her influences as she searches obsessively for her own sound. I really enjoy her vocals- relaxed, confident, playful and not shouty- and her guitar playing too. Her rhythm work is impeccable but not stiff, and her leads offer exactly what each song needs as opposed to being an excuse to show off. 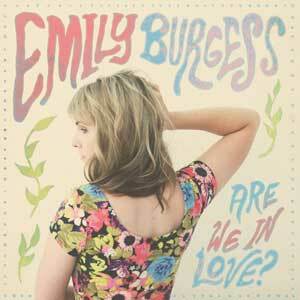 Produced by Burgess along with Sam & Ryan Weber it’s a great sounding record too, casually excellent. If we must label this music Are We In Love? is probably more deep alt-pop than anything, sort of a late 80’s/ early 90’s feel like Fairground or New Bohemians, maybe The Cranberries, and the playing from Burgess as well as the other contributing musicians is perfect yet far from sterile. 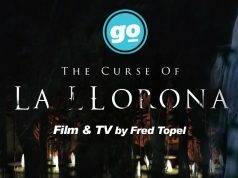 I’ll go as far as paying this disc one of my highest compliments; it’s damn fine company. KEY CUTS: What Has Been Is All Within, I Wanna Make You Mine, Ain’t That A Woman? A new hard rockin’ blues single from this Ontario-based band, released December 29th and available on I-Tunes, Burn It Down is what Led Zeppelin II might sound like if it were to be made today. It has a hard, simple, insistent beat and a thick, physical sound, powered by Wickens’ wonderful blues shout and some deliciously greasy slide work. A full album is expected later this year and if the other songs come even close to the power of Burn It Down, we are in for a hell of a ride. Next articleTECH: Nissan Can Read Your Brain!